This has been floated around a few times by some different people over the past year, but it bears pulling out again. 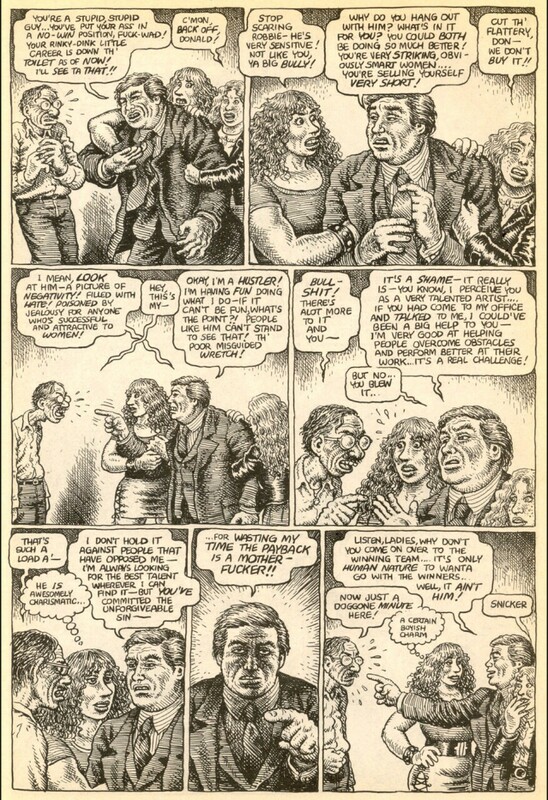 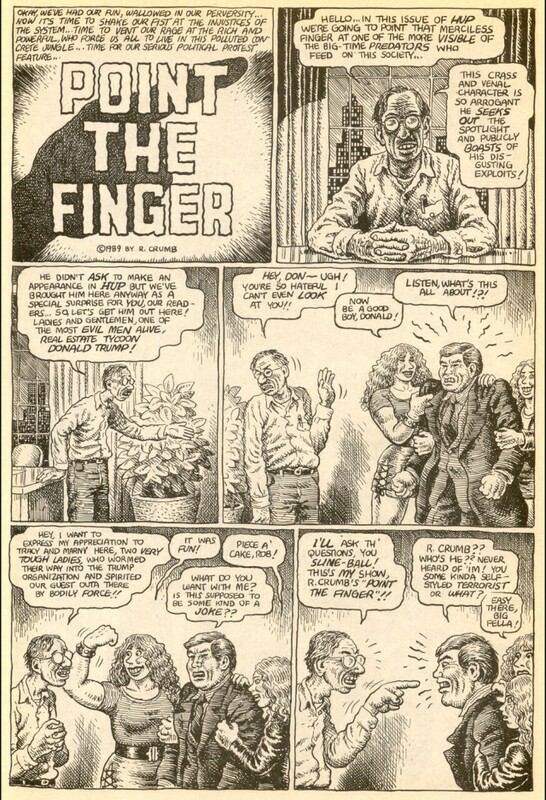 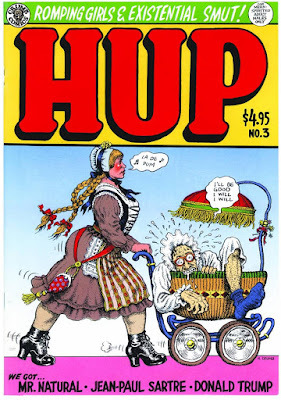 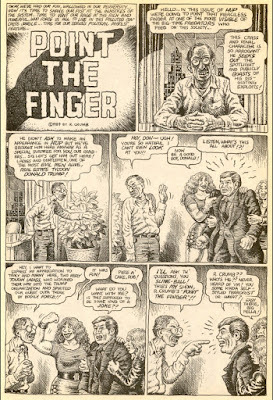 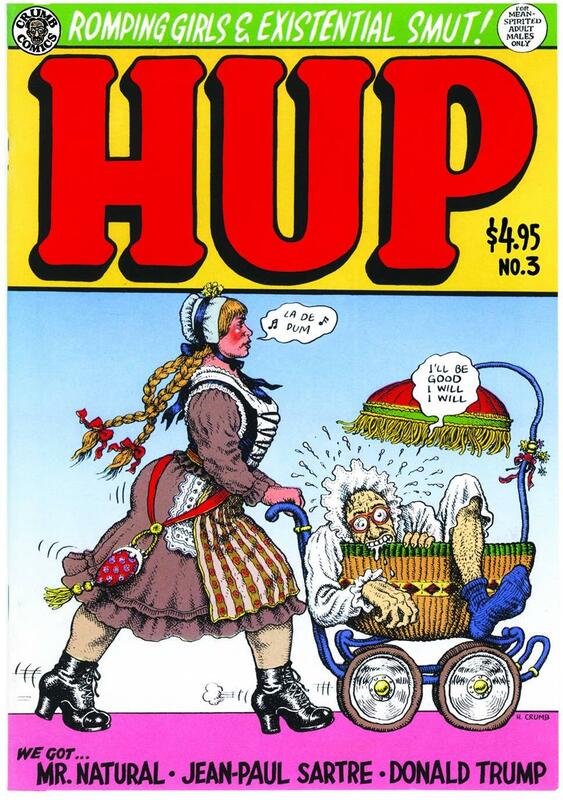 Robert Crumb drew an encounter between himself and Donald Trump back in Hup #3 circa 1989. 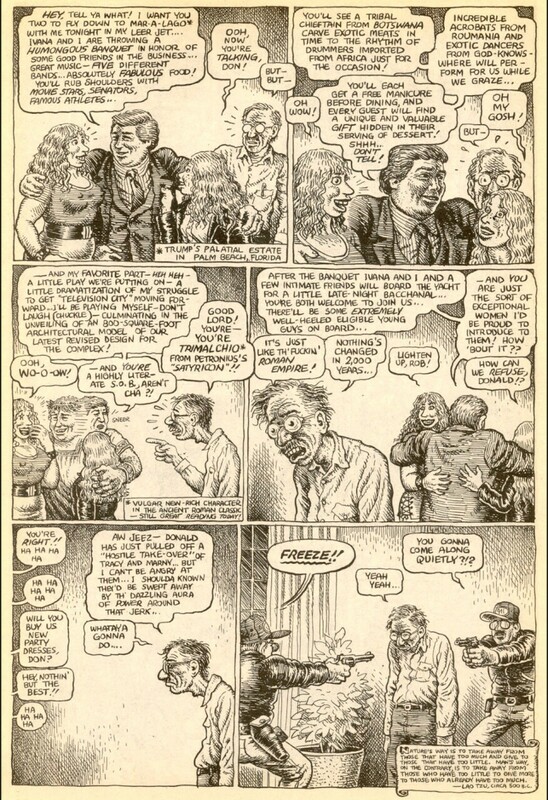 It's actually a five-page story, but the last two pages were to "tack on a second ending" which Crumb noted wasn't as realistic. 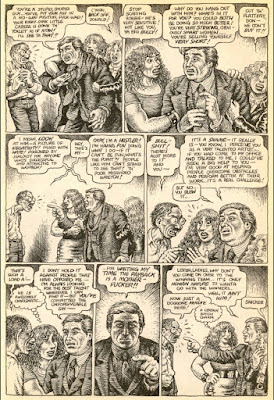 I'm re-posting the first three pages, with the original, more prescient, ending, here.